From outside his house, someone takes aim at Deets Shanahan (Nickel-Plated Soul, 2005, etc.) and narrowly misses. Was the bullet really meant for Shanahan? The Indiana PD has a quandary shared by Shanahan’s lover Maureen Smith, his fellow peeper Howie Cross and, for a while, by “the old detective” himself. Shanahan and Maureen have only recently bought their place from a well-known judge, and judges, like peepers, make enemies. 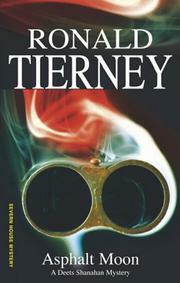 The early consensus in favor of mistaken identity is reinforced when a second judge and a deputy sheriff are murdered. Does someone have a grudge against law enforcement in general? Shanahan has the unsettled feeling that this grudge is personal. That’s too bad, because he and Maureen had begun to relish normalcy as a new and welcome enhancement of their lives. Who hates Shanahan enough to want him dead? There’s a rich field left by a long career of locking up bad guys. Cross would like to help Shanahan with his sleuthing, but he too has a heaping plate. His wild and crazy sometime girlfriend has left her five-year-old daughter on his doorstep and taken off. How come? Cross needs answers. Shanahan needs answers. And they both need them for the same reason: to keep their womenfolk safe. Fast, smart and blessedly short—the genre’s good old way.